We’ve spent more time buying used baseball bats than anyone. Really. Over the last five years we’ve spent tens of thousands of dollars on hundreds of different bats from no less than two dozen different sites and companies. Where do we buy our used bats? Where do we (BatDigest.com) buy used baseball bats? Generally, we spend our time on just four sites for used bats. SidelineSwap was built by athletes, for athletes to be the best online marketplace where athletes can buy and sell their gear. Most of the sellers aren’t asking ridiculous prices and the SidelineSwap’s escrow type service is brilliant. (They hold the money for three days after delivery, or as soon as the buyer signs off on received goods.) With their surge in popularity over the last few years, the inventory levels are surprisingly good. eBay, known for its dominance all things garage sale, is a staple in the used bat market. Although the most robust, its one size fits all approach to second hand items misses some needed used bat nuances, especially for amateur sellers and buyers. FB Groups leverages the power of its millions of members to drive a legitimate marketplace for used bats. For the patient, and connected, there are deals to be had. But there’s plenty of dung to wade through before you find the sweet spot. If you’re not terrible concerned about the model or size, then it’s often a great option. Craigslist and dozens of other classified ad sites can be a great place for a bargain. They can also be the most likely placed to get ripped off. If you know what you’re doing and if you live in a more populated area, it might work. Especially if you want to pick up locally. Where should you buy used baseball bats? In large measure, it depends on what you want. If just about any ‘deal’ on any bat size would work, and you know what a deal actually is, then a Facebook group or local classified ad site might serve you well. If you are looking for a particular model with specific sizing needs, then we’d choose SidelineSwap over eBay—but we’d check both. In terms of selling and buying, here are our ratings on the places to buy and sell used bats. 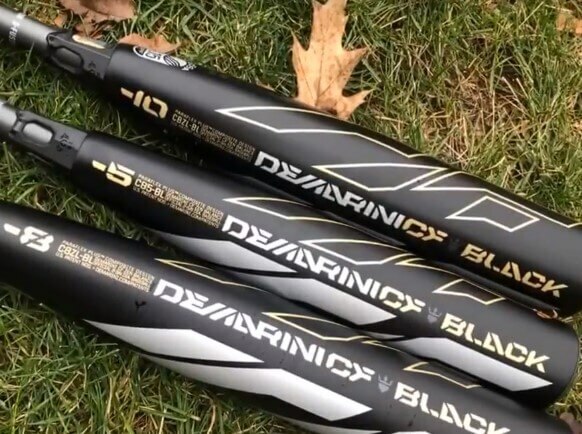 Our top destination for used bats is SidelineSwap. This online marketplace started in 2012, when it got its initial start in lacrosse. Since then, the platform has expanded rapidly to include nearly every sport you can think of. Baseball and softball bats are one of the site’s top categories. You can usually find used bats on SidelineSwap for a fraction of their original cost. Depending on their condition, it’s not uncommon to find deals at 70% off their original price. Finding a bat in your size and price range is simple enough. The site organizes bats by brand, material, year, price, model, length, barrel size and age group. At its core, SidelineSwap is a peer-to-peer marketplace. When you buy a bat on SidelineSwap, you’re often buying directly from another athlete — and more importantly, an athlete who has used the bat personally. You can ask specific questions and actually get a response (ahem, eBay). It’s a site built for athletes trading gear. Sellers on SidelineSwap tend to be real players and individual athletes. They are not conglomerate second hand stores or reps unloading garage sale and sample inventory. Why Buy a Used Baseball Bat? Hitters almost always outgrow their bats. As well, rarely are new bats that revolutionary—especially as bat standards like BBCOR, USSSA and USA settle in. Why spend full price on a new bat that will be less than half its price in just a few months? New bats do look cool, sure. But we’d be better off putting a couple hundred bucks toward a new glove. If you’re in the market, check out some used bat sites. Start with SidelineSwap and see what you come up with. Search eBay and then run by some Facebook pages on baseball bats. As cliche as it is, eBay remains the largest secondary market for anything garage sale. Considering there are millions of baseball bats in garages around the world, you can expect a ton of bats on eBay. It is the most robust secondary market, too. You’re more likely to find a size and model there than anywhere else. Pricing is pretty competitive—although we’ve seen more than a few deals go for several percentage points higher than they should. You can still be duped into overbidding. What most consider the biggest downside to eBay is the lack of candor and communication from sellers. As well, the barrier to entry (in terms of the learning curve and seller ratings) keeps a lot of great bats and legit users off the site. More often than not, used eBay bats are sold by estate sale junkies–not previous players who actually used the bat. Still, though, the massive offering and bidding style auctions on eBay make it a must check if you’re in the market for a used bat. (Or, frankly, a new one, too). Facebook drives considerable people to its marketplace due to its sheer presence. In terms of finding a used bat in good condition on a travel ball or baseball bat page, your odds are good. Although beggars often can’t be choosers, the FB marketplace is usually big enough to find at least something that fits. If you need a specific size of a specific model then your work is cut out for you. In truth, though, Facebook is our least favorite place to buy used bats. Occasionally, you’ll find a good dude really looking to get rid of a bat or two. But, often, you feel like you walked into a swapmeet from baseball hell. It’s often constant haggling and ridiculous price expectations from people more interested in negotiating then moving bats. With only a few exceptions, deals we’ve done on Facebook groups feel dirty. We are all for a great deal, but buying a bat shouldn’t be like buying a Rolex from the inside of some guy’s trench coat. The love of the FB Marketplace phrases like “Message Me For a Price” only stems from a deal that can’t be done in the light. Either the guy is selling you a bat at a price he shouldn’t, the merchandise is tainted, or it’s a straight hoodwink deal. That said, we are sure there are some great outlets and folks on Facebook selling used and unused bats that are worth it. But, our general experience is that those are few and far between. Proceed with caution. Classified ads are a reasonable place to buy used bats—especially if you live in a big community. But, much like Facebook, scam artists abound. If you buy locally, and are able to see the product before buying, then you’ll save some heart ache (and shipping costs). As well, expect limited sizing and model options. We have had better luck buying on local classified ad sites for used bats than FB groups—far and away. Prices have been good, too. If you aren’t that concerned about the exact model you get then it’s likely you’ll find a real deal you can go and get today in the parking lot of some gas station.